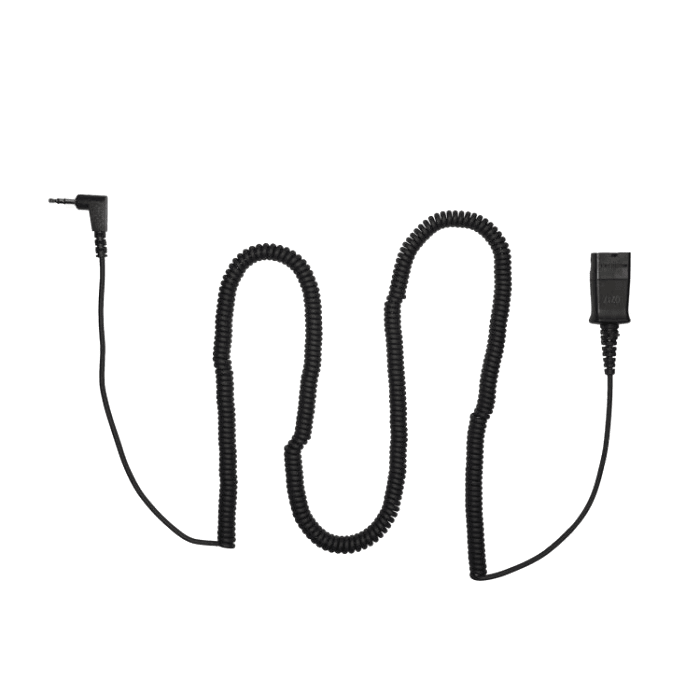 Plantronics 2.5mm Direct Cable - 70765-01 - Headsets Direct, Inc. Direct Connect cable # 70765-01 is used to connect an H-series headset into a compatible phone with 2.5mm connection. NOTE: The 70765-01 cable is 10 feet long. 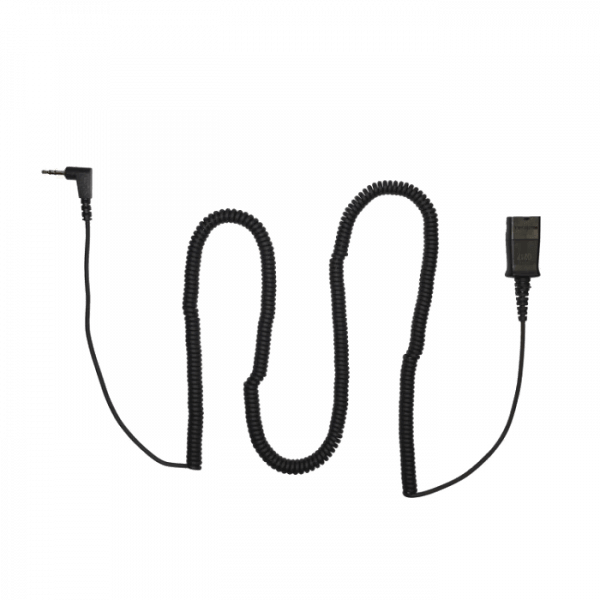 Use 64279-02 for a 16 inch cable. Stretches and doesn’t tangle. Lightweight. Exceeds my expectations. I was a little skeptical that this simple little plug-in adapter cord would allow for good, clear reception, but I was very pleasantly surprised. It works great! I really like the pull-apart clip too. It’s sturdy and stable, yet goes together and comes apart quickly and easily. I love the little coiled part of the cord. It’s very lightweight, so if I have to be a couple of feet from my desk there’s no heavy drag on the headset even if the headset cord isn’t clipped to me. Great product!